Display image shows a 2″ wide x 9″ deep x 9″ high/tall size.All wood products are unfinished.In Stock. Ships within 24 – 72 hours of order placement. Steel brackets add an elegant look to your home while also providing support. Steel brackets can be used for a number of different uses including countertop, shelf, & cabinetry applications. Pre-drilled holes make installation a breeze. 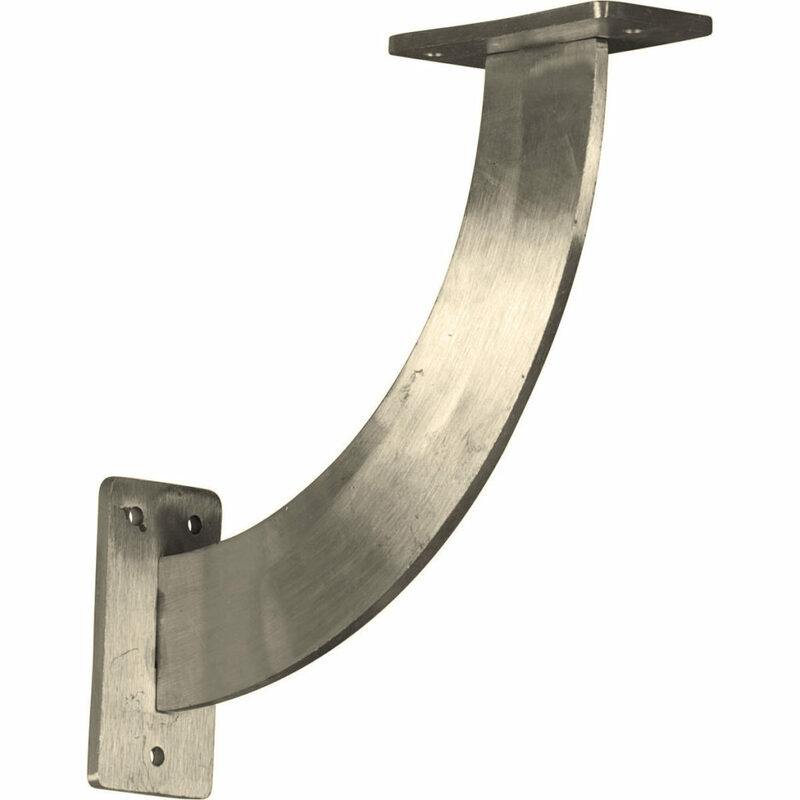 With a corrosive resistant finish, the brackets are made to withstand the toughest applications. Stainless Steel brackets are perfect for modern homes as most appliances are stainless steel.